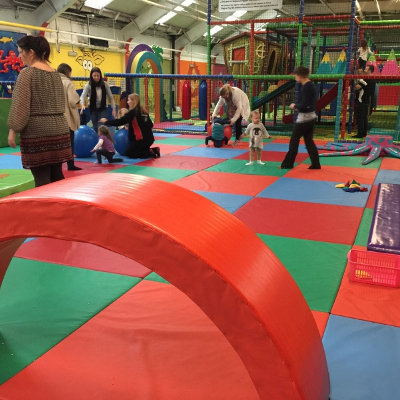 Looking for a fun day out in Warrington were the children can burn off some energy, especially on those rainy days, or searching for a fabulous party venue, come and join us for indoor soft play fun at Giggles Play Mill (WA2 7HW). Giggles is a family run business established in 2009 owned and managed by a former Early Years Teacher, so you can rest assured your little ones are in safe hands! Here you can find pictures of Giggles Play Mill. Get an idea of what facilities we have! 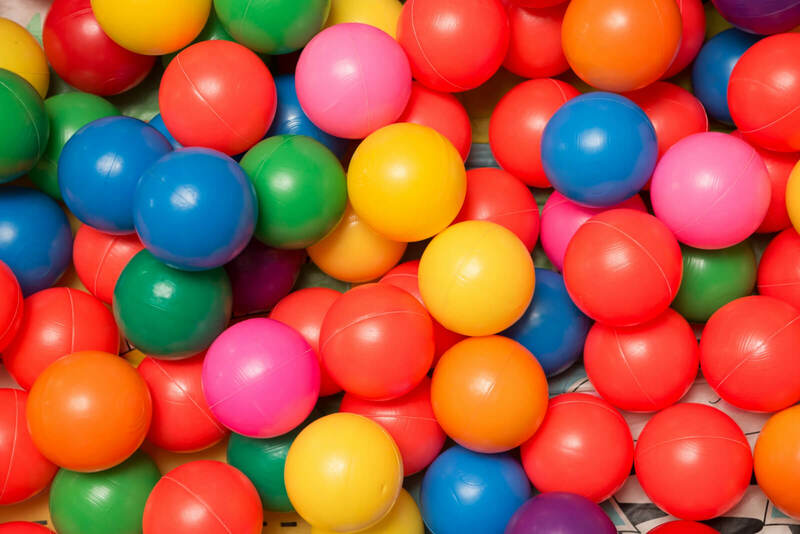 Searching for a fun soft play day out in Warrington? Come to Giggles were the children can burn off energy, especially on those rainy days. 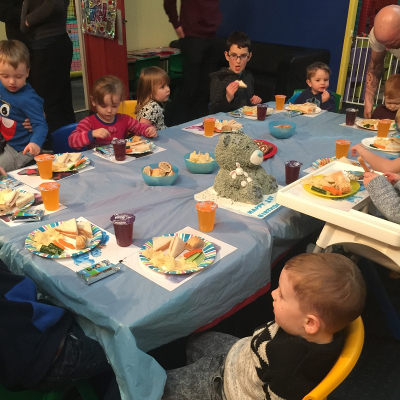 We have a fabulous soft play and party venue especially for the little ones. 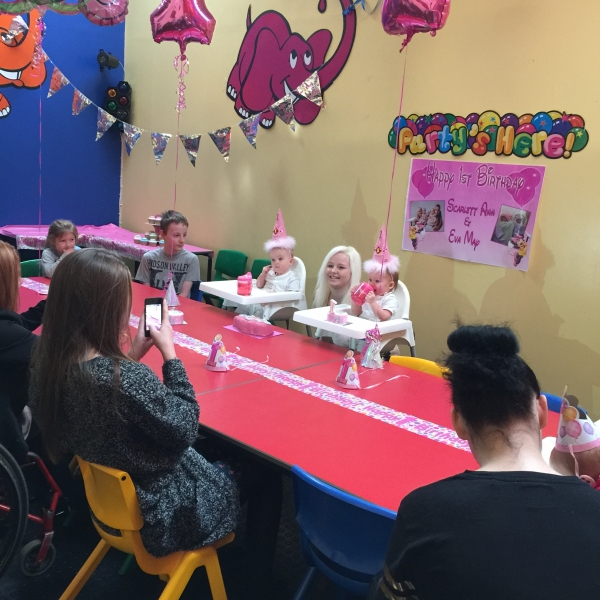 Giggles Play Mill is a family run business established in May 2009, owned and managed by a former Early Years Teacher with over 35 years of experience, so you can rest assured your children are in safe hands. We are easy to find as we are conveniently situated just off Junction 22 from the M6 and Junction 9 on the M62 along the A49 into Warrington. 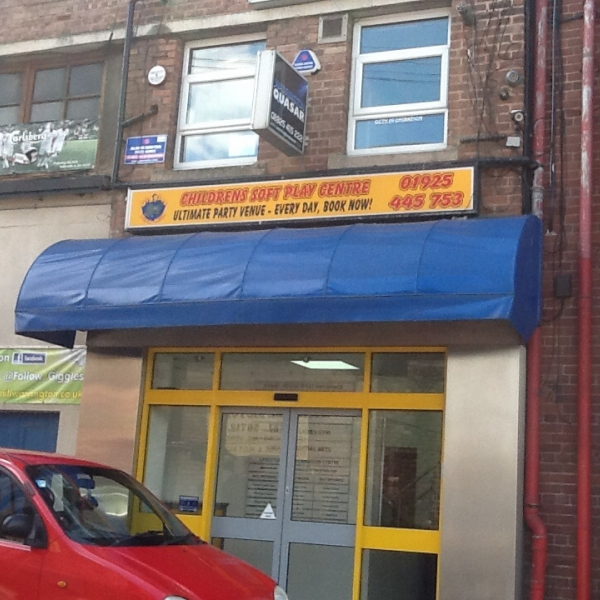 Coming by train we are just 5 minutes walking distance from Warrington Central Train Station. 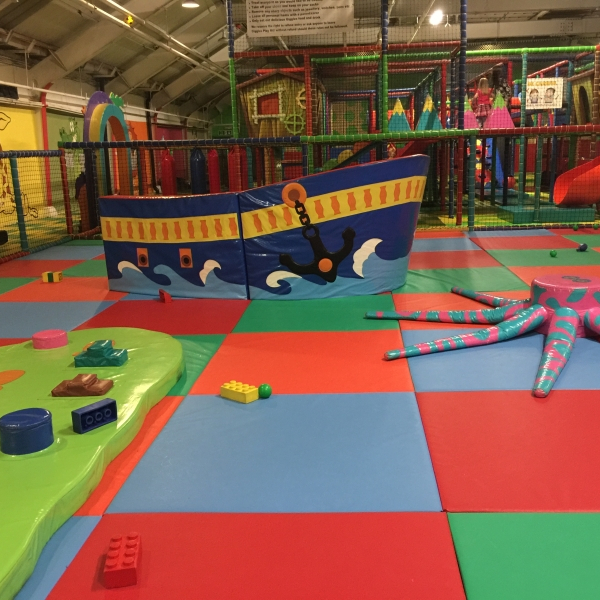 At Giggles Play Mill we believe Babies, Toddlers and Children should have lots of space to crawl, learn to walk, run around and explore in a safe and secure environment which is why our play area is designed so you can see your kids wherever they are. 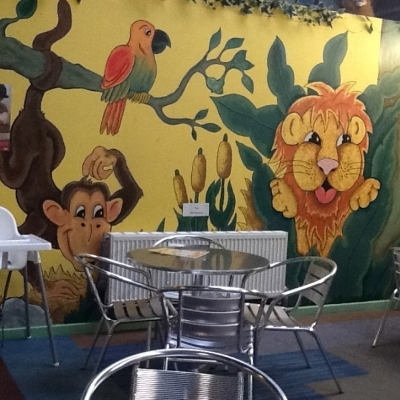 To keep your kids entertained we believe we have the largest designated under 5's soft play area in Warrington. 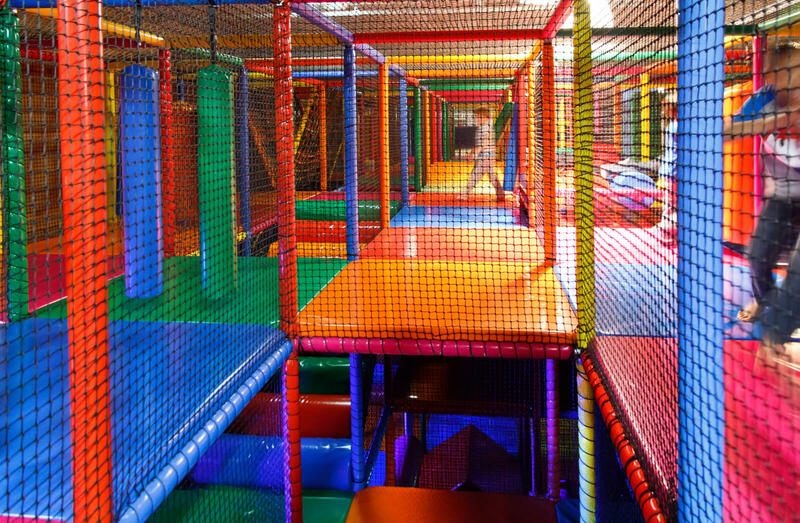 There is a play area for babies and those just learning to crawl , a multi-level play frame with slides, a climbing wall and 2 tiered main frame (height restriction of 149 cm applies to the main frame) football pitch/sports area and a bouncy slide available in school holidays (£1 charge applies). FREE for under 12 months. No charge for all adults. Twins 2 for 1 all day every day (cannot be used in conjunction with any other offer). Childminders £2 per child (2 for 1 offer on Monday and Tuesday does not apply) including weekends. Weekday entrance £4 per child and includes a FREE hot drink Monday-Friday term time only before 11.30am (can not be used with 2 for 1 offer). Weekend and school holidays £4.50 per child (2 for 1 entrance on a Monday and Tuesday). 2 for 1 Monday and Tuesday excludes Bank Holidays (cannot be used in conjunction with any other offer). No charge to reserve a table please let us know the day before the number of adults and children. Concessions availalable for SEND children please call first and we will advise you of quieter times if you prefer. Bouncy Slide £1 charge applies for 1/2 an hour available at selected times only during school holiday week days ALL proceeds 2019 go to our recognised charity Cancer Research. Max Card entitles you to one free hot drink per visit on production of card. Annual Membership Entrance Pass giving you unlimited entrance £75 for the first child £50 for additional sibling £25. Childminders can also take advantage of annual membership up to 4 children £175. 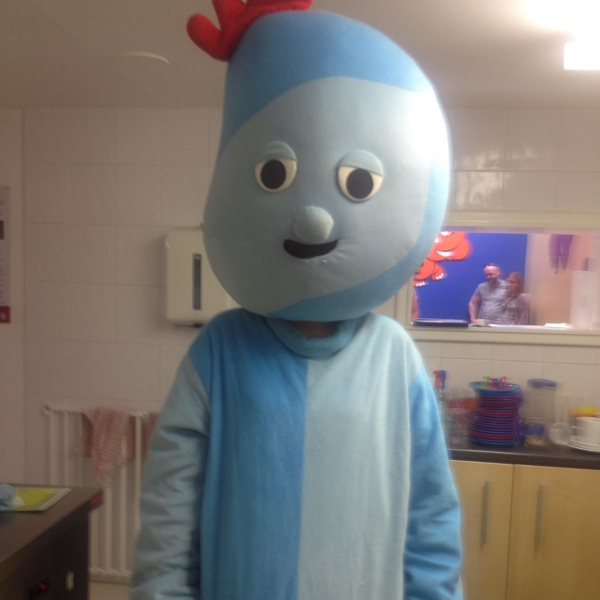 Monthly Membership £9.99 per child payable by standing order. Opening hours (see daily Facebook posts as we have lots of private parties after 4pm and may close early). Please note that on exceptionally quiet days (e.g. adverse cold weather, snow, very hot sunny days) we may close early so if in doubt please call before setting off. CLOSED Easter Sunday, Christmas Eve, Christmas Day, Boxing Day, New Years Day. Free WiFi just please check in on Facebook for a chance to win a FREE entrance pass. Free parking at Evans House Private Car Park CCTV in operation. Lift access to the 3rd Floor and staircase access if your feeling energetic. We accept cash payments, contactless, Apple pay and all major debit cards and credit cards. 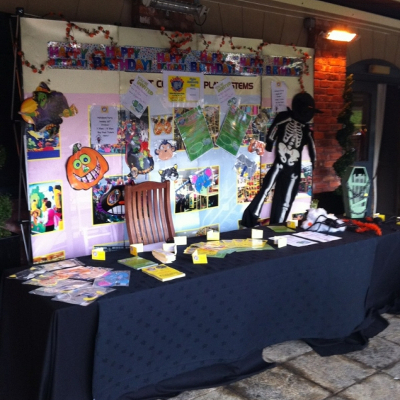 Find out what activities we can provide! You can also take a look at our Facebook for pictures and regular updates.